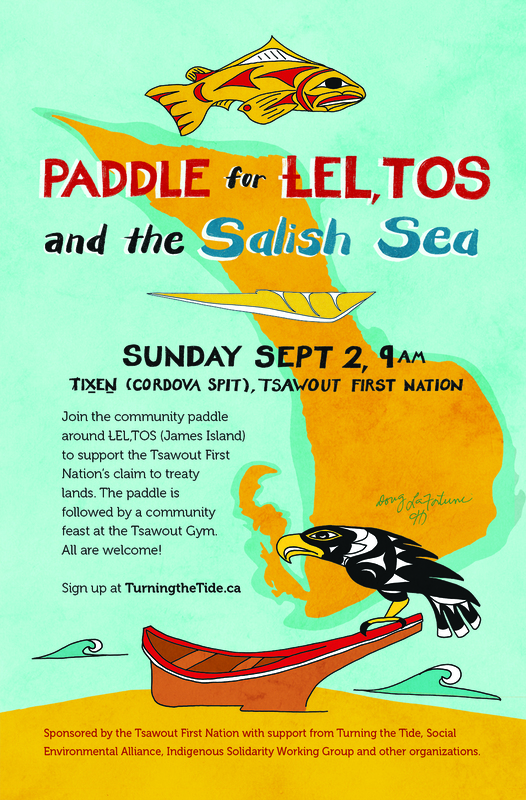 A mass paddle and family-friendly flotilla for the Salish Sea, July 25-28, 2014, with Community Gatherings on Pender Island and Salt Spring Island. Thanks to all the organizers, paddlers, swimmers, sailors, campers, day-trippers, and a special thanks to our generous hosts on Pender and Salt Spring islands! We look forward to more local events this year and another major multi-day trip in 2015! All out to Turn the Tide toward a post-carbon future, so that the ecology, economy and culture of the Salish Sea and its diverse coastal communities can thrive in tandem with our growing on-the-water movement! http://www.TurningtheTide.ca.